Great observation! Have you played much with the 'clone' tool in PS? Maybe clone out the flower and the reflection? Re: your quote, do you know anything yet about 'Playing For Change'? Go to playingforchange.com and check out what they have going on....AWESOME! Maybe this quote is what started his whole idea?! Interesting shot...you could try painting out the reflection using the eye dropper to match the color. you find the most creative things, great job, I like it! Tiny is quite cute in this case! Nice catch. 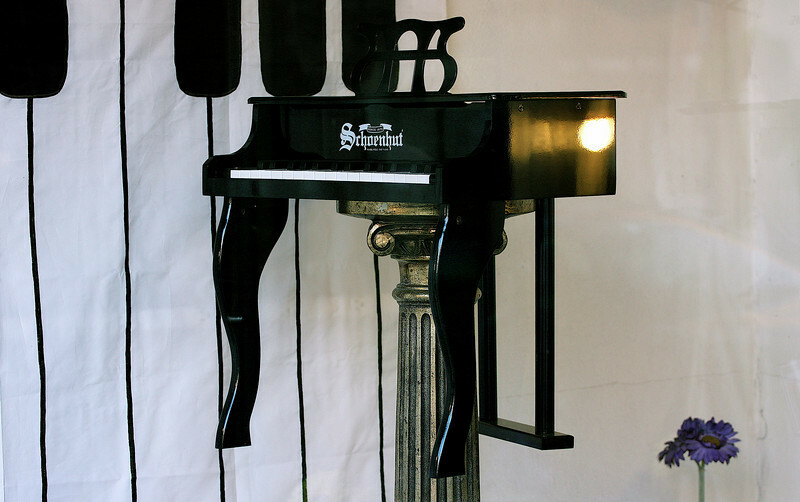 This is super cute piano !